Metal detecting and a mess born of professional arrogance. To summarise: last week at a club dig Medway History Finders unearthed Anglo Saxon artefacts and crudely dug the whole assemblage out on the pretext they couldn’t contact an archaeologist and if left there it might be stolen overnight. They say they were subsequently told they’d acted correctly: “The BM and our FLO said we done the best thing by taking out what we could”. There are other options that could be added no doubt and I’m sure PAS (and thoughtful detectorists) can come up with many more to put on the PAS website. Ideally it needs to be published within days so as to quickly counter any wrong and Kentish ideas that may just have taken root. Plus, “detectorists as guardians of Treasure on behalf of the State” is a concept that needs promoting. (They ARE guardians! If they took a spade to that Treasure when on their kitchen table they’d be jailed so how is it different in a field?). Any true history lover would do it right without demur. You can’t be a history lover and an anti-social, over-hasty, self-serving acquisitive yob as well, you have to decide which. Whether you keep digging will determine that. Someone on a detecting forum who I had better not describe in the way I’m thinking has said about the Kent behaviour: “Absolutely no need for any justification .. There’s not many who would stop digging”. Anyone like that has no business on the fields and PAS should make that crystal clear – especially to landowners. Let’s see if they will. I’ve been looking at this stuff every day for more than a decade then up pops an archaeo on the BAJR Facebook page and puts it better than I ever could! Grrr! No. Just insufficiently proscriptive. It’s the system. It stinks. FLOs are prisoners of it and we all lose by it. Know it by its net results, unspun. C’est tout. I confess I found the above a bit upsetting as we’re well used to detectorists misunderstanding or misrepresenting what we’re about but not archaeos. However, I’ve perked up with the news that the author may be related to a FLO so it looks like we’ve had 18 “likes” on the Rescue FB and just one criticism, from a FLO’s relative. It’s what I would have expected and it’s encouraging (although from now it will change radically no doubt!). BTW it would be a mistake to think we don’t talk in confidence to lots of archaeologists, including FLOs. We may be amateurs but we’re not operating in the dark. 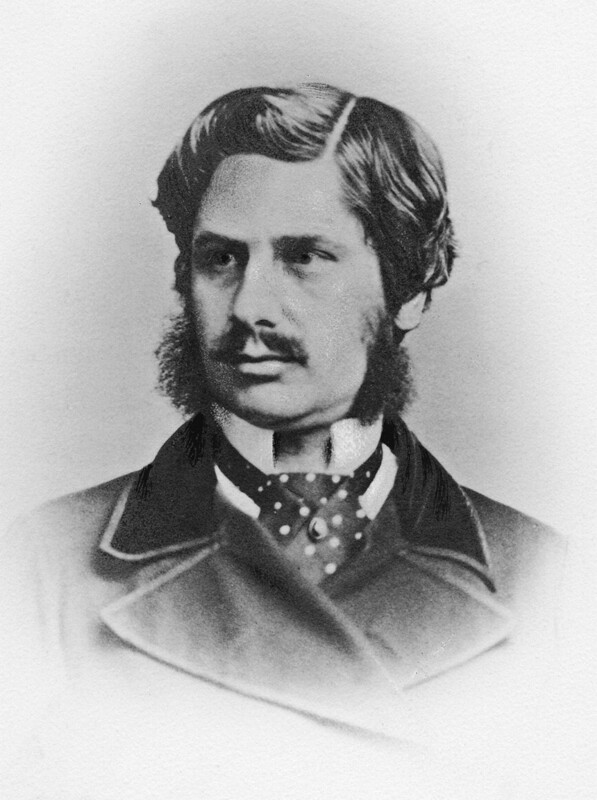 Augustus Pitt Rivers, dubbed the Father of British Archaeology for expressing the importance of thorough site excavation through stratigraphic observation and recording. His most important methodological innovation was his insistence that all artefacts, not just beautiful or unique ones, be collected and catalogued. Subsequently in Britain those principles have been held to be unnecessary for work involving non-archaeologists. No-one has ever explained why. A message to all my fans in metal detecting: there’s an awful lot of “most people would have done the same through excitement” sentiment flying about. Please desist, it encourages future bad behaviour. Even if true it is no excuse. If you’re going to play in Society’s back yard AND take rewards AND expect respect you have to play by Society’s rules, OK? You see, it’s theft, plain and simple. Knowledge theft. “Excitement” is not an excuse for shoplifting and the magistrate would take a dim view of anyone that claimed it was. Just behave, OK? No excuses, no cover-ups, no telling each other (as some have) not to video the discovery of future hoards. Just behave, OK? And certainly don’t steal. If you feel you can’t trust yourself in Tesco’s don’t go in there, even if you know the security cameras are switched off. Finally, we live in a VERY peculiar country where not only are there very few laws prohibiting the cultural theft of the knowledge attached to portable antiquities but also where the authorities are pretty frit to condemn it out loud. It’s still wrong though and while you may think you don’t do it yourself, making any excuse for your colleagues that do it or indeed having any truck with them is aiding and abetting them. Nearly 12 miles of artefacts laid edgeways, mostly not reported! Get a grip. Thanks. So it seems beyond dispute that doing things in a way that maximises public benefit not their own is simply not an option for him and most of his colleagues – even though tens of thousands of amateur archaeologists constantly do exactly that without complaint, reward or expensive outreach. What clearer case for legal regulation of artefact hunting could there be? Heritage Action has an entirely justified campaign against irresponsible and unregulated metal-detecting on archaeological sites, both proven and potential. Here– sadly– is another example of the damage that is done to context and provenance and the often inadequate response of those who should be safeguarding the past for the present and future. Thank you. What with artefact hunting’s denials and The Establishment’s silence it can be a bit lonely telling the truth! Glad to help spread the word—too important an issue (with all its implications) just to be sidelined. Indeed, with the Counter suggesting the number of artefacts dug up and mostly not reported during PAS’s lifetime about to go through the 5 million barrier and 12 miles of them dug up since 1975 if laid edgways stretching 12 miles…. Dear Europe, would you like to adopt the British model…. I agree whole-heartedly with the article. However, I was directed here from a link on another site. Although I’m interested in archaeology and history, I have no idea what some of the acronyms are. What is PAS? What is a BM and FLO? Articles like this mean more if the author takes a minute to write out the meaning of the acronym, or explain the jargon upon its first mention. Or avoid jargon if possible. I know Mike and differ in my opinions with him on this subject but I have to say I think it unfair of you to dismiss his opinions in part because he is married to a finds liaison officer. It is a bit of a cheap shot in my view. For our part we were none too happy to read that “two separate issues have been very cynically conflated in this article, and it’s a shame, if no actual surprise, that the main purpose of the piece is to use the episode to attack PAS – a scheme HA clearly believes is corrupt and immoral” which adds up to 5 unjustified claims for which no evidence was offered. Well, personally what I find disturbing is that an archaeologist is happy publishing something like that in a public place but the moment somebody disagrees with him and challenges his wording, he just deletes it with narry a word of explanation, still less apology. If we on the same side of the heritage fence cannot even discuss issues between ourselves, what hope is there for real outreach to other milieus? I am new to metal detecting and although I agree there probably are some detectorists that are just out for what they can put in their pockets I don’t belive it is fair to tar the majority of us with the brush. This is a very biased opinion if ever I heard one. 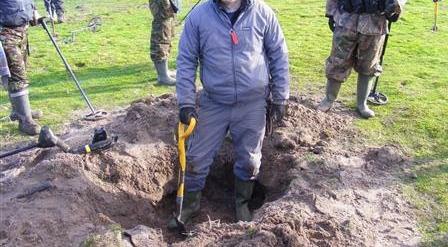 Did an ex-wife run away with a detectorist by chance? Your belief (as a new detectorist) that you can vouch for the 8,000 detectorists you have met and can dismiss PAS’s statistics as untrue is a bit of a joke. Howework first! Fair point Nigel and sorry for the ex-wife comment, it was childish, but do you honestly belive that all 8000 or even a large percentage of them would behave that badly? I do hope not. I honestly belive the biggest problem is education. Also, I would be interested to know your thoughts on the Time Team tv programs, were they right to scrape off the first 12″ of soil with a JCB? Of course we believe that most detectorists don’t report all their recordable finds and that the community is thereby being robbed of a lot of the knowledge of it’s history. Do you seriously think we would have been banging this drum day in, day out for 13 years if we didn’t? Do you seriously think we’re that stupid? Why? Best you read everything we’ve written before you listen to platitudes from self-interested colleagues! We’ll talk once you’re up to speed. We deal in evidence and probabilities. As for Time Team,we’re not archaeologists and aren’t biased (NOTE!). So naughty them. BUT they did one millionth of the damage non-reporting detectorists do annually! NO it is NOT a matter for education, the country has spent millions trying to do that. Statutory regulation is the only way to control people with no social conscience – and if you hear a detectorist resisting that you can bet they don’t report all their finds. As I have stated I am new to metal detecting, so where should I go to understand my proper social obligation with regards to recording finds? I have done quite a lot of reading on the internet about metal detecting but as of yet have seen nothing about recording finds correctly. How were these “millions” spent? If you don’t mind please direct me so I too don’t become devoid of a social conscience! b) On the search yesterday 20 detectorists found 3 items after 5 hours of searching (100 hours of searching total) which would have been worth reporting. 1 Roman coin and two hammered silver pennies in a field around 2.5 acres in size. I dont understand how this could possibly help our understanding of the past but to say at least 3 people from the past walked through the field and dropped a single coin? c) what percentage of those detectorist work beaches only which only throw up modern coinage and jewelry, You dont find artefacts on a beach unless they have been dropped there in the last couple of years. You are making it sound like every detectorist makes massive finds every time they go out searching. I thinik it is maybe you who needs to go out and do some research! I appreciate some people have more success than others but even then, I think your calculator is wildly wrong! I note that PD Currell’s webpage has a text called ” Why I Wont Be Servicing Your Clock For £40! How to Service a Smiths Clock”. Are not the people who want you to service their clock for forty quid like the people who’ve not done any reading up of the topic (“new to the ‘obby”) who immediately think that justifies coming on places like this with their lectures on egg-sucking and glib “two wrongs make a right” wheedlings about what TV archaeologists do on an edutainment show. You are new to the hobby, Heritage Action and others have been studying it for a decade and a half. Pat and Nigel are two different people (! ), just as responsible detectorists and irresponsible ones are. The problem being discussed is not the responsible ones, but what to do about the others who have resisted seventeen years of PAS outreach costing the country millions of pounds. That is not a “bias” but a serious dilemma. In addition, I would have thought, if we understand the term “responsible” in the same way, that this would be an issue the responsible detectorists would be concerned about far more than falsely accusing someone of superficial thinking and tarring somebody with the same brush. There is a way for the truly responsible detectorists to stand out from the irresponsible crowd, isn’t there? Are you watching Dr Bland?! Mr Currell, you’ve embarrassed yourself quite enough. Best stop now.